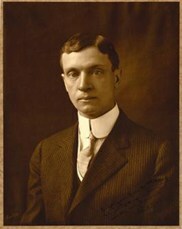 In 1913 publisher Edward Gardner Lewis left University City, Missouri and came west to begin what was to be a model community. He eventually recorded what was the largest single subdivision map in San Luis Obispo County. Atascadero was a “planned community” from the very beginning. In 1979 Atascadero became the seventh incorporated city in San Luis Obispo County, becoming the second largest city in the county. Many of the very principles that E. G. Lewis had envisioned for his model community were written into the city’s first general plan.